At Studer, their philosophy is to continually strive for perfection through innovative design, Swiss engineering and in-built quality. The net result of this approach is that they provide their customers in Radio and TV broadcasting, as well as live installed sound industries with new and feature-enriched products and training. Theyrealised this goal through listening to their customers, and implementing your ideas, be they features, software or engineering-based … along with a few of their own, of course. Through this approach they have been able to provide you with the ultimate tools to reach new levels of excellence when producing programmes and shows. Studer’s long and successful history is founded on customer service. They have never lost sight of this fact and realise that it is an important part of the Studer package when choosing to buy a Studer product. As such they are committed to continuing their traditions of combining excellent Swiss craftsmanship, well-engineered innovation and intuitive ideas, while always keeping the customer’s benefits as their main objective. The constant evolution of ergonomic user-interface technologies, combined with leading-edge digital signal processing, has resulted in the most efficient and groundbreaking innovation, namely the ‘Vista’ series of digital mixing desks. By focussing on the human aspects of operation, a product has been created that is not only intuitive, efficient and reliable but also a pleasure to use. As digital audio information technology develops it has enabled a higher degree of system integration. 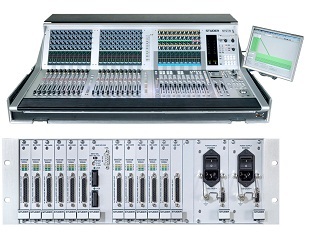 In broadcasting, the digital mixing console is no longer seen as a standalone product but as an ergonomic point of access to digital audio data in a fully integrated digital audio system. Today the OnAir 3000 and ‘SCore’ platforms provide the basis of the most flexible and networkable systems for a fully digital broadcast chain. 1948 The company “Willi Studer” was founded on January 5th, Willi Studer develops and builds oscilloscopes for high voltage labs. 1949 Willi Studer develops his first tape recorder and sells it under the label “Dynavox”, it becomes a real success. 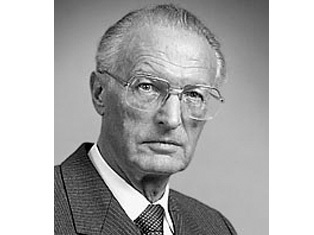 1951 ELA AG was founded by Willi Studer and Hans Winzeler. 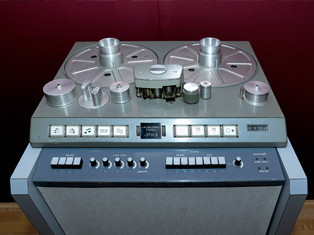 The Revox T26 tape recorder was put on the market and the prestigious recording of the “International Music Festival Lucerne” was made with a prototype of the first professional tape recorder Studer 27. 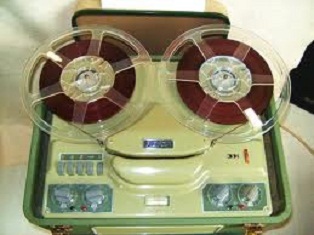 1954 The first tape recorder of the famous Revox A36-series is put on the market. 1957 Several thousand tape recorders have already been build by Studer. The company set up an international sales network. Introduction of the first portable tape recorder Studer B30. 1958 Studer presents the first mixing console, the portable Studer 69. 1960 Production start of the Studer C37 and the Revox D36. Co-operation with “EMT Wilhelm Franz GmbH” begins. 1965 Introduction of the first fully transistorized professional tape recorder Studer A62. A total of 50,000 Revox tape recorders have been build so far. 1966 The first daughter-company “Willi Studer GmbH in Löffingen / Germany”, founded in 1964, starts its production with Revox C36 models. 1967 The “Beatles” choose the Studer J37 4-track for their album “Sergeant Pepper’s Lonely Hearts Club Band”. Introduction of the famous Revox A77 and its counterparts (amplifier A50 and FM-tuner A76). 1968 560 employees work for Studer. 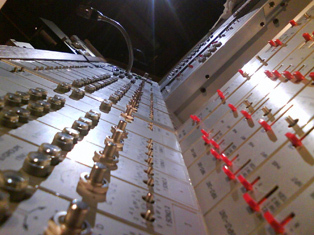 Introduction of the Studer 189 mixer. 1970 Introduction of the Studer A80, it represents an entirely new design-concept with versions from 1/8″ QC for cassette duplication up to 2″ 24-track. Willi Studer gets honored by the AES. 1972 Delivery of the so far biggest professional audio mixing console Studer 289 with 30 input channels to the Swiss Broadcasting Corporation SRG. 1973 The first synthesizer-tuner Studer A720 is presented. 1975 The business of the Studer-Revox Group has grown steadily since 1966, Studer employs 1,495 people and has bought and built several production and distribution facilities worldwide. 1978 Presentation of the microprocessor controlled multitrack tape recorder Studer A800. Willi Studer is awarded an honorary doctorate from the Swiss Federal Institute of Technology (ETH) Zurich. 1980 Co-operation with SONY for standardizing PCM-formats. 1983 Introduction of the first digital products, the sampling frequency converter SFC-16 and the preview delay for disc cutting DAD-16. Strong involvement in the standardization of the DASH format. 1985 Very successful business year, introduction of the Studer A820 analog multitrack recorder, the A725 CD-Player and the 961/962 mixing desk series. 1986 The Studer Revox group employs 1882 people, including all subsidiaries worldwide. 1989 Studer Editech was formed following the buy-out of the American company Integrated Media Systems. Introduction of the 48-track DASH tape recorder D820. 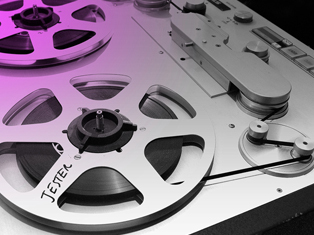 Willi Studer wants to retire, several international companies are interested to buy the Studer Revox Group. 1990 Willi Studer sells the Studer Revox Group to Motor-Columbus AG, including all subsidiary companies. 1991 Acquisition of the French audio manufacturer Digitec S.A., the new products (CAB, digital routing) supplement the Studer range. Motor-Columbus splits the Studer Revox Group into Studer (Pro), Revox (HiFi) and a Manufacturing-division. MC sells several subsidiaries and plants. 1993 Introduction of the all new DASH recorder Studer D827. The first digital mixing console Studer D940 is sold to the WDR Cologne. 1994 The extensive reorganization culminates in the sale of the Studer Group to Harman International Inc., the Revox Group was excluded and sold to a financial company. Studer is revitalized under Harman. 1995 The first all digital broadcast system goes on air at the Swiss National Broadcasting Company DRS Zurich (including Studer D941 on-air console, Studer MADI-router). First presentation of the D424 MO recorder. Introduction of the D19 MicAD. The DigiMedia broadcast automation is introduced to the market in ’95 as a completely new version. 1996 Willi Studer dies on March 1st. 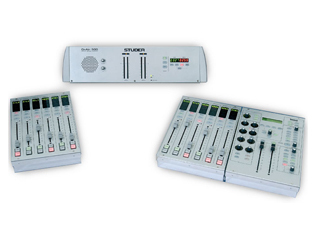 Presentation of the digital Studer OnAir 2000 console, the Studer D741 CD-Recorder and the Studer 928 analog mixing console as well as the MicValve and MultiDAC of the Studer D19-family. 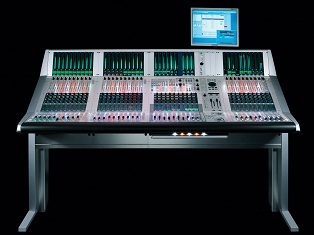 1997 The all-new Studer D950 digital mixing console gains much attention at the first presentation due to its unparalleled performance and capabilities. 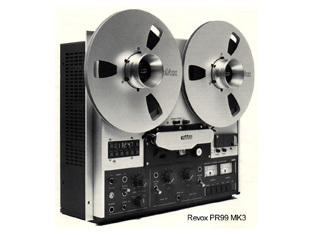 The last of the ex-Revox-products leave production in December (B77 Mk II, PR 99 Mk III). Good success in CAB with DigiMedia and Digitec Numisys. First presentation of new software-tools like Track’Filer and Smart’Log from Studer Digitec. Introduction of the new routing equipment Studer D19m. 1998 Introduction of the revolutionary VirtualSurround Panning™ mixing format on the D950S and the PUMA-chip: this Studer-developed specialized high-performance DSP-chip is available in the DigaStudio controller for the DigAS software by DAVID. Studer also introduces … the V-Eight, an 8 channel 20 bit digital multitrack recorder based on S-VHS cassettes. 1999 Studer adapts the D950 core technology to the digital D941 broadcast mixing surface which results in a very powerful and flexible broadcast desk, the Studer OnAir 5000. 2000 Studer launches the D950M2 with a new surface design and many more features, and also the OnAir 1000 digital mixing desk for radio broadcast and production applications, offering OnAir 2000 technology in a fixed configuration at a very attractive price. 2001 In 2001, after more than 600 OnAir 2000 installations, the OnAir 2000M2 enters the market – a completely reworked and improved version of the OnAir 2000 including an input router and a new attractive styling. 2002 At NAB 2002 in Las Vegas Studer surprises the industry with the Vista 7 digital production consoles incorporating the most advanced user interface in the market, the Vistonics Touch’n’Access concept. In the same year, at IBC in Amsterdam in the autumn, Studer launches the broadcast version of Vista, the Vista 6, together with the Vista Remote Bay, intended for theatre applications where the control needs to be in the audience. Also in autumn 2002 the OnAir 2000M2 Modulo is introduced. 2003 In 2003 Studer enhances its on air mixing console product range with the small fixed configuration Studer OnAir 500 and the highly flexible and modular Studer OnAir 3000. This is based a new mixing DSP core technology, the SCore and has a most modern and flexible software architecture allowing for system seamless integration and opening the way to complex networked broadcast systems. 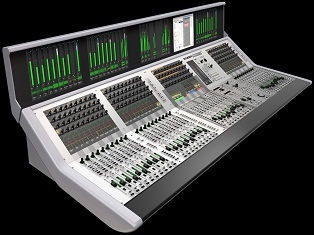 2004 Studer and Soundcraft join forces under parent company Harman’s ‘Professional Division’ to develop Harman’s range of digital consoles for the future. Also in the same year, Studer launches it’s flagship console, the Vista 8. 2007 Route 6000 introduced at NAB Las Vegas. Vista 5 SR enters the Tour Sound arena. 2009 The On Air 2500 goes modular with OnAir 2500 Modulo.